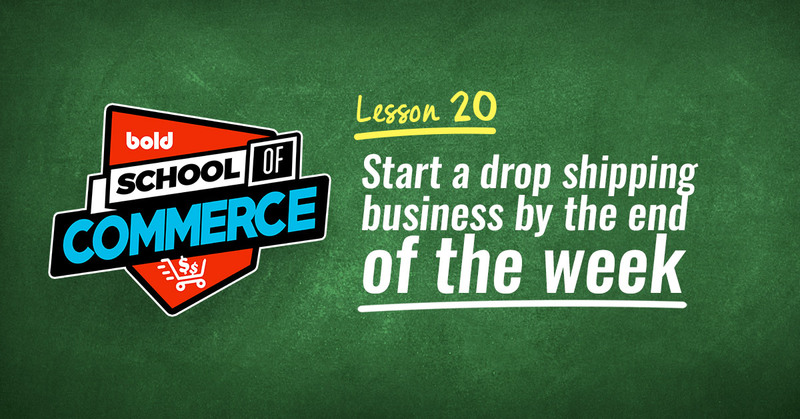 Today you're going to learn how to drive sales on Instagram by preparing a campaign that will get people to scroll and tap their way into buying from your store during the busiest online shopping weekend of the year. 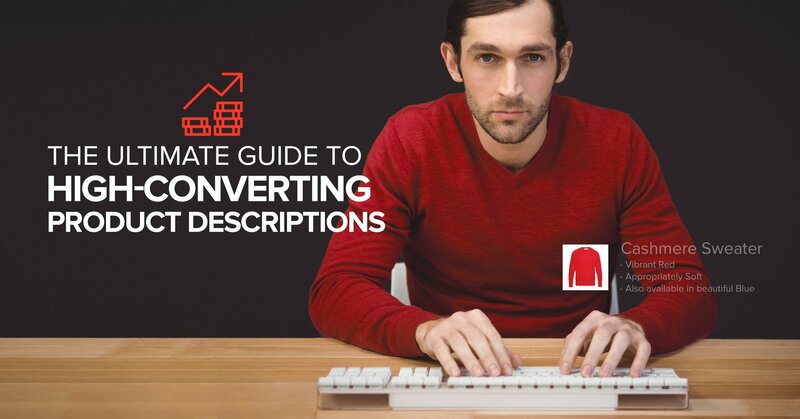 Note: This guide is complimentary to our 12-week Black Friday preparation checklist. Check it out if you haven't already! Okay, it seems obvious. Everybody has Instagram — but let's break it down, because we can make better content if we understand what makes Instagram so powerful. Over 500 million people use Instagram every day and, in one poll, 32% of them said they check it more than once a day. 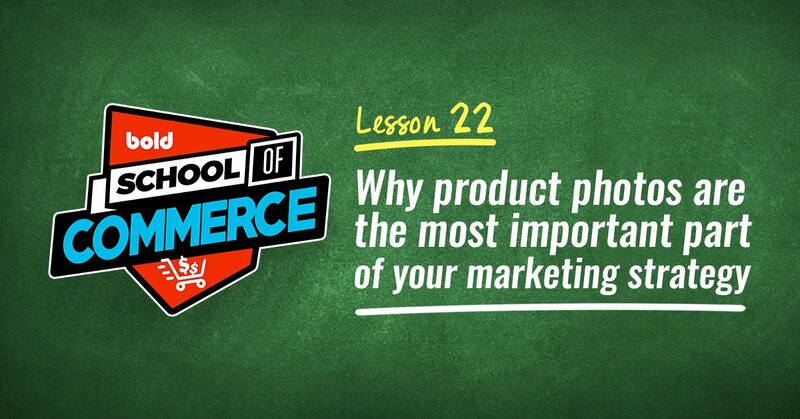 On top of that, 80% of Instagram users follow at least one business. With multiple ways to post, including videos, boomerangs, stories, slideshows, and of course photos, you can get creative with your posts. Anything you can do in a regular post you can also do as an ad, including stories. Instagram has powerful targeted advertising capabilities you can use through your Facebook ad account. Instagram has been working on its payment abilities, like tagging products that link to your store, shopping from stories, and native payment options so users can make purchases directly in the app. Let's start making interesting, sales-minded content for your Instagram! 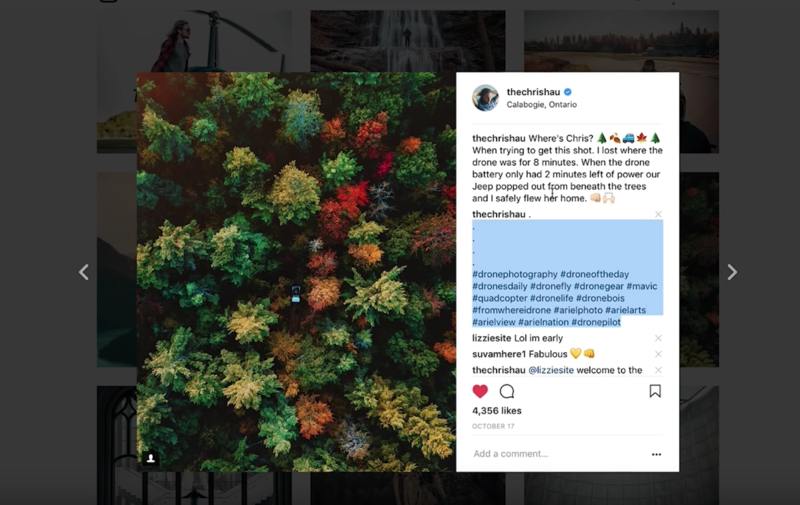 Now that you know why you should be using Instagram to drive sales, let's see exactly how we can work to persuade people to shop on your store this Black Friday. While Instagram now allows you to sell directly from the platform, it might not be worth it for you to activate that capability, especially if you have limited resources. According to Monetate, conversion rates are much higher on desktops and laptops than they are on mobile devices. Syncing your Instagram account to your Facebook business profile. 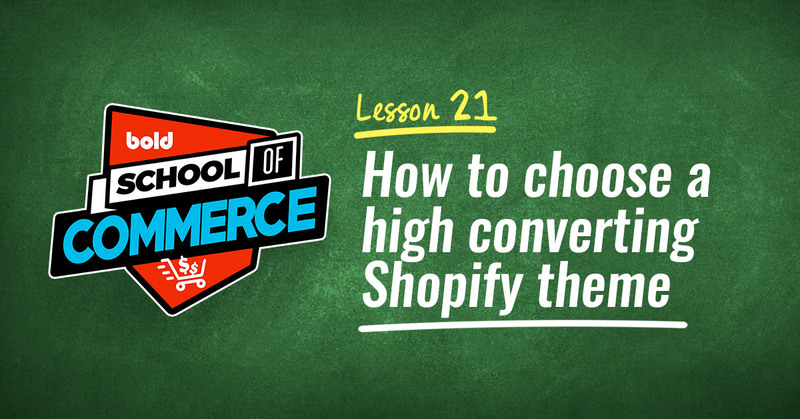 Using your Shopify or BigCommerce store to create a Facebook product catalogue. 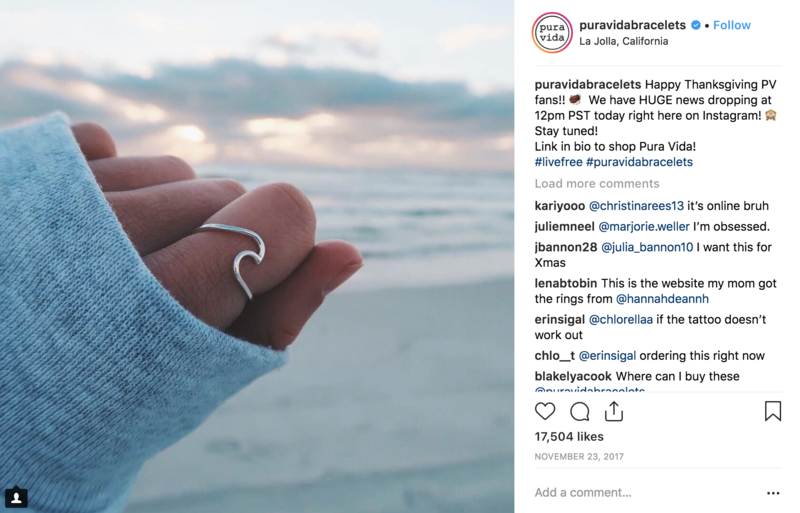 For these reasons, instead of worrying about using Instagram as a conversion tool, it's probably more effective for you to use it as part of your customers' journey to buying something from you on Black Friday. This means making them aware of the products and sales you're offering on Black Friday and Cyber Monday so they think of you first when the holiday weekend comes. Now that you know how Instagram will fit into your customers' Black Friday experience, it's time to start planning content that will get them excited about your sales. Pura Vida Bracelets did a great job with this last year. They had three posts hyping up their big sale announcement in the days leading up to Black Friday. Then they had more than a dozen posts promoting their 50% storewide sale. They also used a $500 giveaway contest to encourage more engagement. With so many posts they obviously had to plan ahead, and you should do the same. In the two to three days leading up to the sale, post pre-made content to tease the announcement of your sale, and when the day comes, unveil it! So plan a post a day for the three to seven days leading up to Black Friday that either feature the products you're going to offer or information about your sales. Also, have at least one post a day ready for the Black Friday Cyber Monday weekend reminding people about your sales. But those aren't the only posts you should plan. In the weeks leading up to Black Friday, use your Instagram account to start showcasing the products you're going to put on sale. 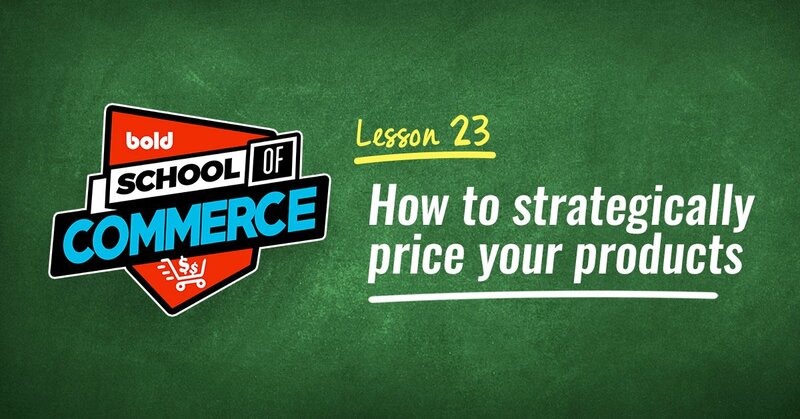 When you announce that you're selling them at a discounted price, customers will have already been exposed to them, and the lower price could persuade them to finally make the purchase. A study by Facebook found that in order to make an impact, you should try to expose your audience to your messaging at least once a week. But it also found some evidence that "higher frequencies are needed to impact greater behavior change, such as purchase intent." This is why it's important to have multiple posts planned to persuade people to buy from you. But don't just plan your traditional posts. Instagram now offers another medium you can use as a touch point in your Instagram campaign. 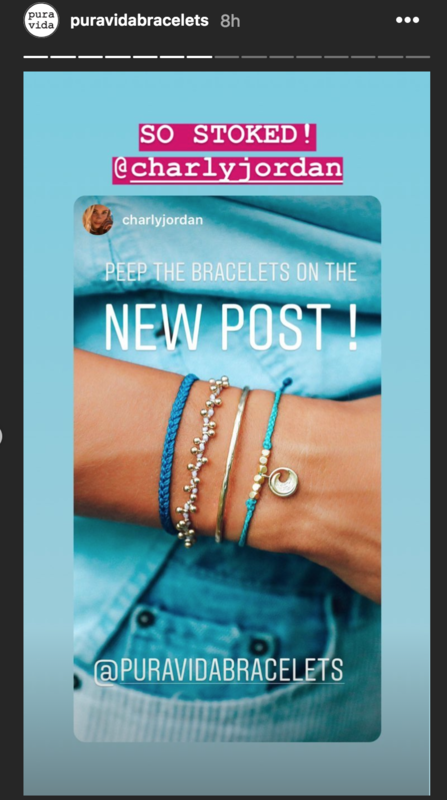 Unlike the controversial algorithm change that shifted the Instagram feed away from chronological order, users still see stories in their feed in the order of who posted last. Take advantage of this by posting stories that are complementary to your feed, inviting people to check out a new post to draw traffic to your profile. 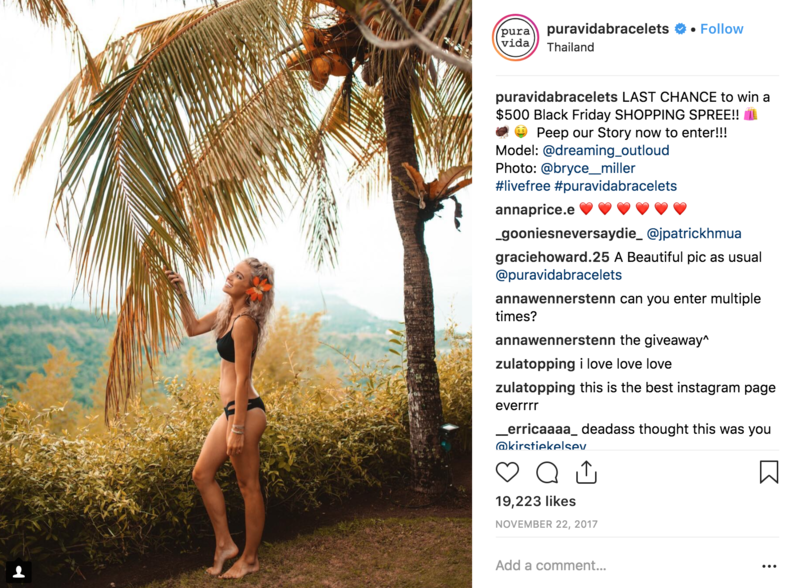 These stories can be anything from professional product photos with enticing copy, to a video of you unpacking a new shipment, or a repost of an influencer or customer using your product, like Pura Vida did above. 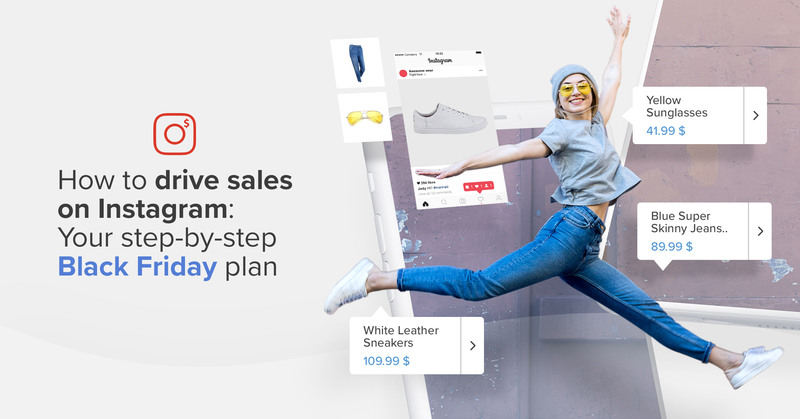 You can also use stories to connect with your audience in real-time during the sale. In the midst of Black Friday, does a certain product really start flying off the shelves? Let people know with a fun story so they can get them before it's gone. Stories can also be a good way to tell people about sales if you don't want to disrupt a curated profile with announcements, though I would still suggest adjusting some of that content to promote any Black Friday promotions! But don't scare people away with too many stories: try not to post more than seven per cycle (a cycle is the 24 hours before the post is automatically deleted). A study by Dash Hudson showed that companies who stayed around six or seven story posts per cycle had exit rates (people skipping over your story) of less than five percent. You can also use story highlights to tease or announce your sale prices in the weeks leading up to Black Friday. These permanent stories stay on the top of your profile for as long as you want. Again, these don't need to be specifically pushing Black Friday sales. It could just be introducing your audience to a new product that you will show them again during your actual Black Friday event, either with Instagram or another marketing tactic. When they finally see it on sale they might be more inclined to buy it at a discounted price. 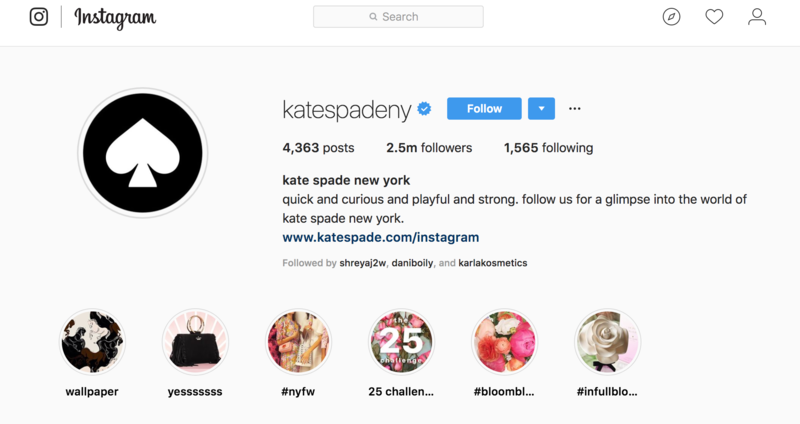 For example, Kate Spade uses story highlights to show off other products and offers, not just sales. Don't worry, this doesn't need to be somebody with 500,000 followers and a record deal. You can team up with "micro-influencers," or people with around 1,000 to 10,000 followers and still reach new people, letting them know about your product while building rapport. After all, people trust peer recommendations over advertising, so a smaller influencer might even seem more credible to your audience. You can even repost content of that influencer using your product in the days leading up to Black Friday on your story to promote the upcoming sales. Getting them to endorse or use your products in their posts seems like the obvious route, but you can also collaborate to grow each other's followers. Contests, like the one Lucie Fink did in this video for Refinery 29, are a great way to collaborate. But before you reach out, make sure that their following is organic. There are plenty of people paying for followers these days, so if they have unusually low engagement (likes and comments) when compared to their number of followers, there could be something fishy going on. Steer clear. You can find an influencer by exploring Instagram for people in your niche. If you're a sports supply store, reach out to the quarterback of a local football team. If you're a fashion outlet, reach out to a popular local band. Once you've found somebody, make sure you're creating content with them that you can add to your planned posts. 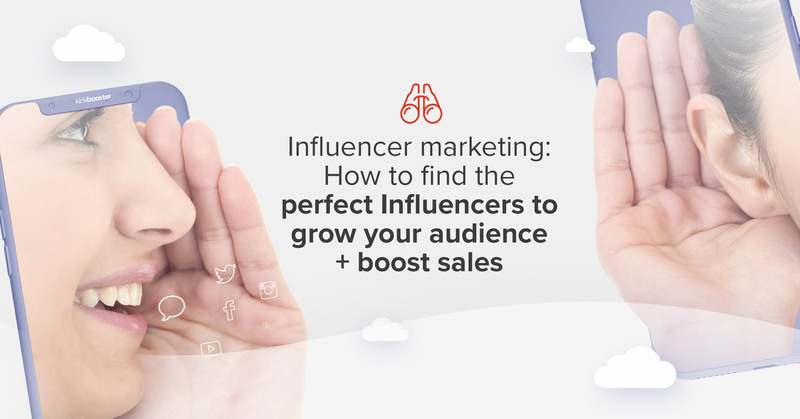 Read more about how you to find influencers and check out Kickbooster to set up an influencer management program as you build more relationships. Along with the organic reach you're trying to achieve, it's a good idea to promote some of your posts. You can set that up through your Facebook account (check out our guide to Facebook ad manager!) 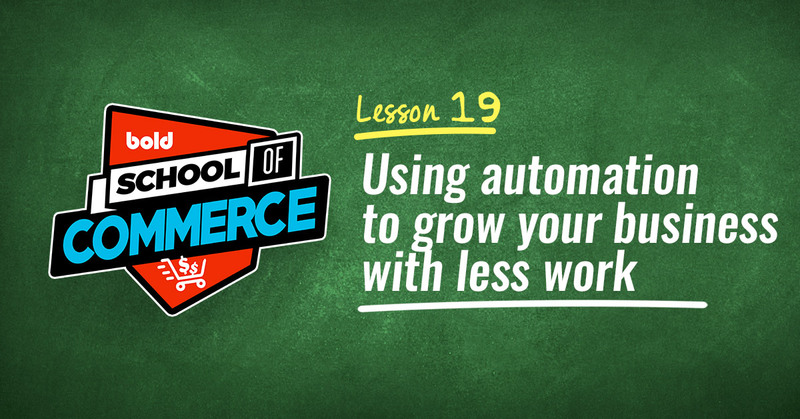 They're affordable, scalable, and easy to target. But when you're promoting your posts, make sure you don't auto-place stories. These make for ugly ads. Instead, promote the stories you made for step three so they look native to the story feed. Use hashtags that have below 50,000 posts so you don't get buried in the feed. If you're having trouble finding them, look at what you're competitors are using. Remember, more hashtags don't always equal more quality. For example, Chris Hau, a photographer who now has over 177,000 followers, said one of his most popular photos only used ten hashtags. If you plan properly you can get people excited for your sales and waiting for Black Friday so they can rush to your store to buy the products you've been hyping up. 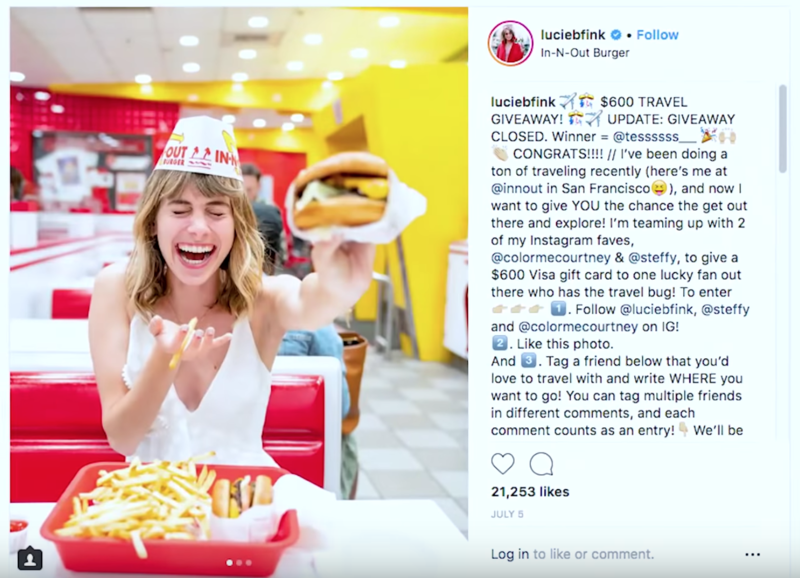 What kind of Instagram strategies do you use? Got any tips? Let us know in the comments below, we'd love to hear from you! Want to know more? Check out our best Black Friday sale ideas, conversion strategies, and optimization tips all in one place!